I know, I know. 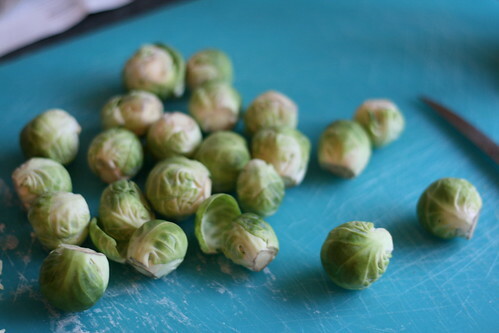 Yummy scrummy…sprouts? Those words just don’t go together. Sprouts are horrible, things that you eat on Christmas just because it’s tradition and/or you have memories of your mum making you. I agree. They are vile things. 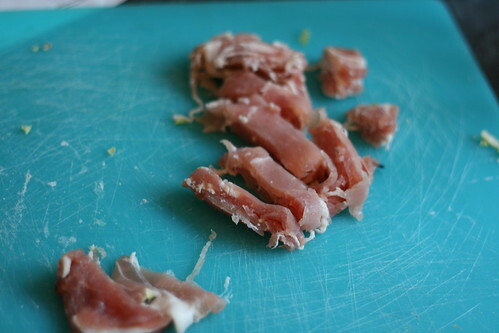 But cook them like this, and they are genuinely yummy scrummy. This is one of my mum’s creations, and it’s utterly delicious. Serve it as a side, as a main part of your meal, whatever. This year we’re having it as the main accompaniment to our Christmas dinner. Yup. It’s good enough to replace tradition. The ingredients can obviously be increased or decreased as needed. 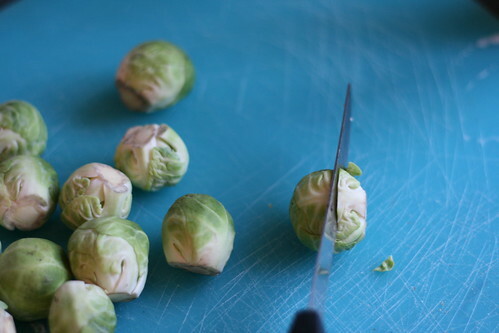 So, you start off with some sprouts. You put a pan of water on to boil, and then you slice the bottoms off. You then get your thumbnail underneath the bottom of the leaves, and start peeling them off. 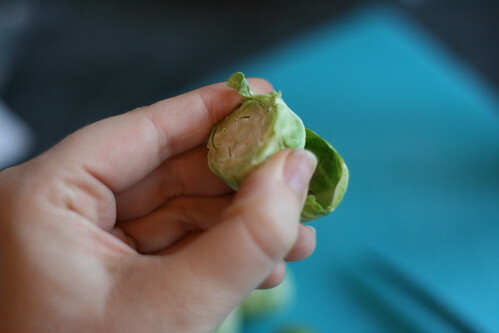 Peel as far as you can until you just have the heart of the sprout. I usually slice this. I won’t lie to you, this bit takes blumming ages. If you have people who are willing to help, enlist them. 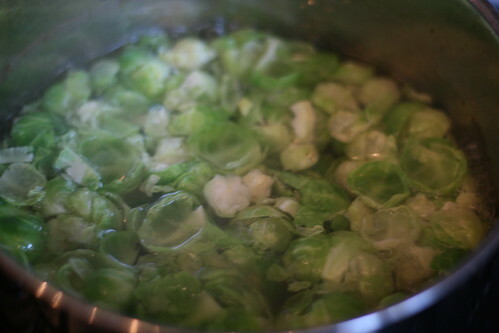 Then, when you have a massive pile of sprouts, put them all in the boiling water and cook for three minutes. Spray the bottom of the saucepan well with Fry-Light, before stir frying the bacon. 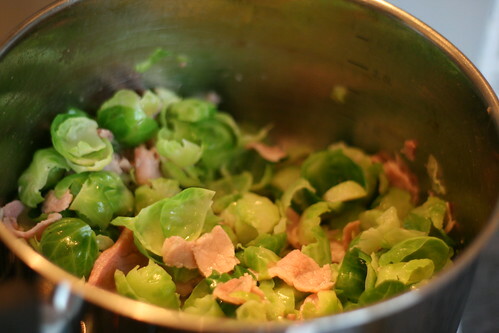 As soon as it’s cooked, tip in the drained sprouts and mix well. Annnnnd there you have it. Totally lovely. I’m not sure why it tastes so good like this — maybe it’s because the leaves are separated so it’s a less concentrated taste, maybe it’s because the bacon juice contrasts the bitter sprouts — but it is absolutely gorgeous. Lush. Delicious. Yummy scrummy. Mine is served here with the balsamic chicken from this recipe. This is one meal that is most certainly worth the effort.